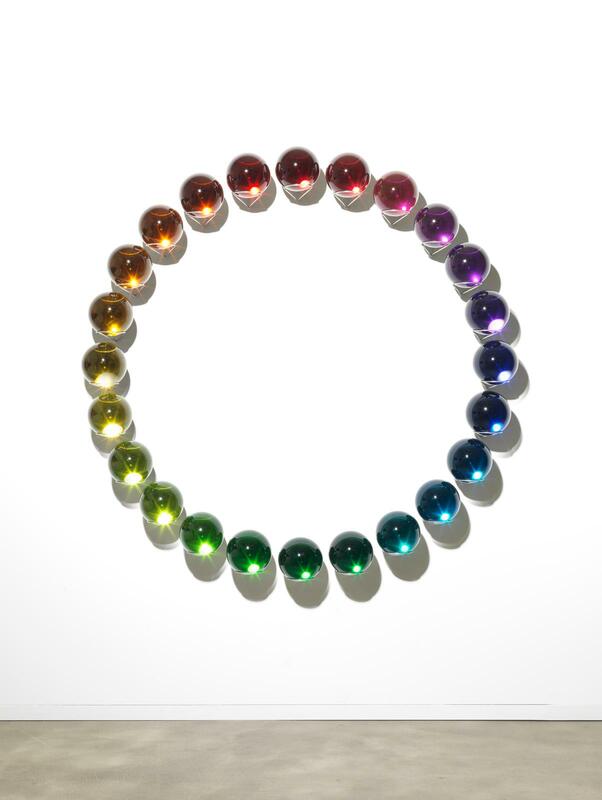 A ring of twenty-four crystal-glass spheres, mounted on a wall, forms a complete rainbow. Each sphere presents a step, relative to its neighbours, in a progression through the full spectrum of visible light. 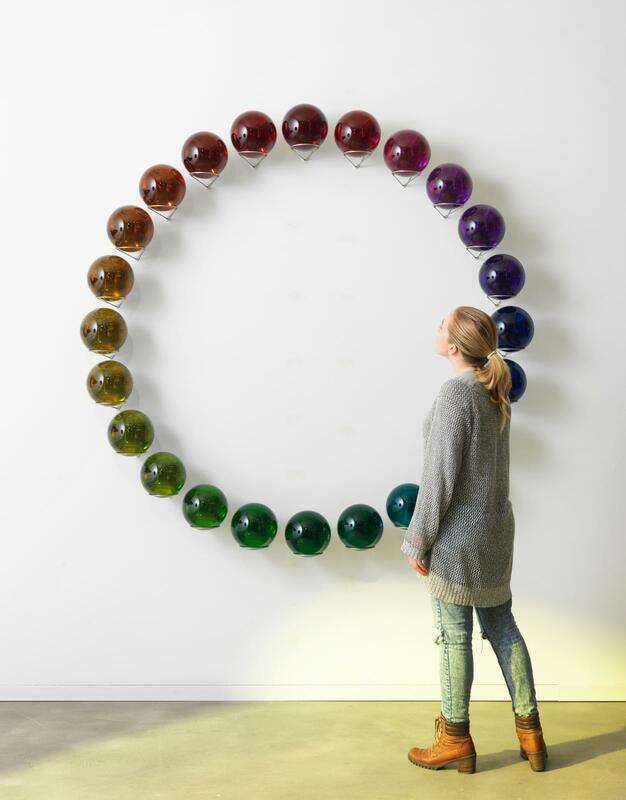 These vivid colours, which seem to emanate from within the glass, were created by applying a reflective layer of coloured chrome to the back third of each sphere. When viewed from the front, the entire sphere is permeated by the bright colour of this layer. The concave reflective surface also produces an inverted image of the viewer and her surroundings within each sphere, a dynamic image that disappears when the ring is approached from an angle; viewed obliquely, the clarity of the glass re-emerges.